No One To Talk To? Polish Charities Tackle Shame of Domestic Abuse in UK - Integration Through Media ....! 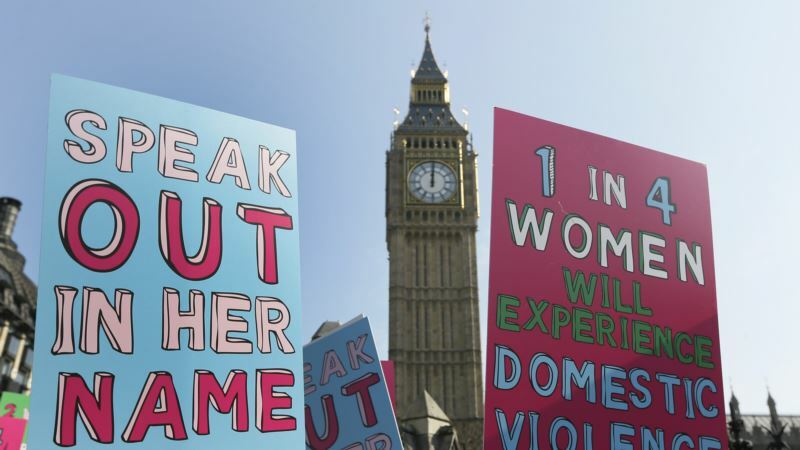 (VOA): When calls to a Polish domestic violence helpline in Britain plunged last year, its founder Ewa Wilcock was puzzled. Since its launch in 2014, she had been receiving more calls from compatriots living in Britain than she could handle. Yet they halved — to just over a dozen a month — in mid-2017. “People would start the conversation saying they were not sure if they should be calling at all because they were afraid of the social services,” Wilcock told Reuters by phone from Cheshire in northwest England. “When you're stressed, it's very difficult to communicate even in your own language,” domestic violence counselor Anna Janczuk told Reuters. “It's even more difficult using a second language and finding appropriate words to describe what is happening,” said Janczuk, who runs the London-based nonprofit Familia Support Centre, which provides legal and psychological consultations. “I didn't know what to start with, how to do it, because I was very scared,” she said. Without Janczuk's support “nothing” would have changed, Hanna said, nearly a year after she left her abusive husband. “Contact [with Janczuk] calmed me,” she said. Wilcock's helpline only takes calls twice a week, while Janczuk's support center is open for less than 20 hours a week because of funding shortages. “Some funders don't like it that we help just one minority,” Janczuk said, sitting next to a donated computer in the modest room from which she runs her organization with the support of volunteers. “We are doing more than the limited resources that we have allow us to do,” said Janczuk, who helps about 25 victims of domestic violence per month. Hanna said she still calls Wilcock's helpline about once a month when she is worried about issues like child custody.